Just a few quick snapshots today via my trusty phone. After spending the afternoon laying out, I needed to run some errands. 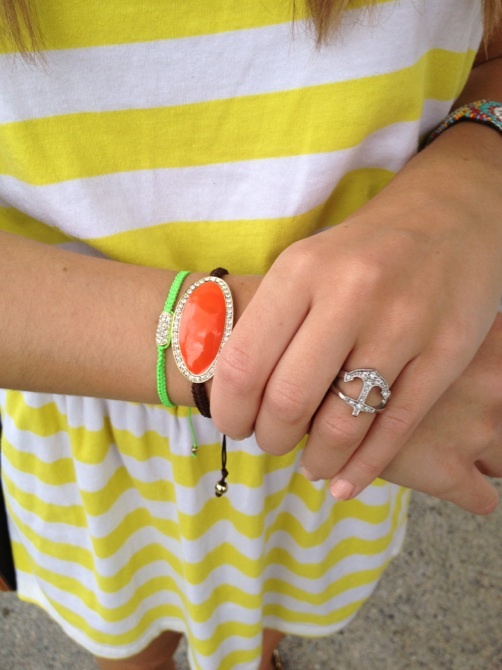 I ended up belting my swimsuit coverup and adding colorful jewelry for a casual, bright summery look. 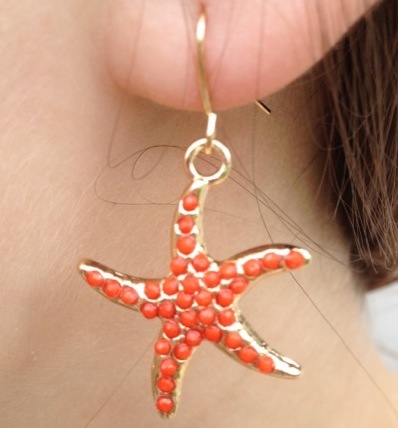 I am obsessed with my starfish earrings and my new bauble bar bracelets and this adorable anchor ring that adds a nautical touch. This dress is so perfect for summer! I love the colors. 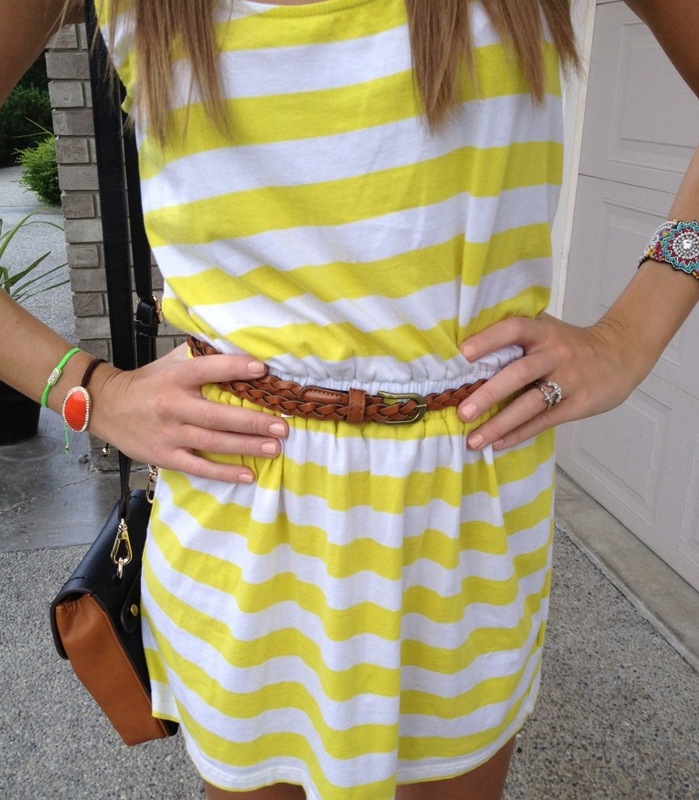 Cute summer look, love the yellow stripes. Beautiful dress!!! thank you so much for your visit!!! The basic dress for summer!! I love striped dresses, so I love this one 😉 Thank you so much for your comment dear!! Lovely summer dress nad your smile! I <3 it! Very cute!! Love the yellow on you!! Nice blog post, hope to see more of you!! You look so cute! Such a fun look for running errands. That looks like the perfect summer dress! 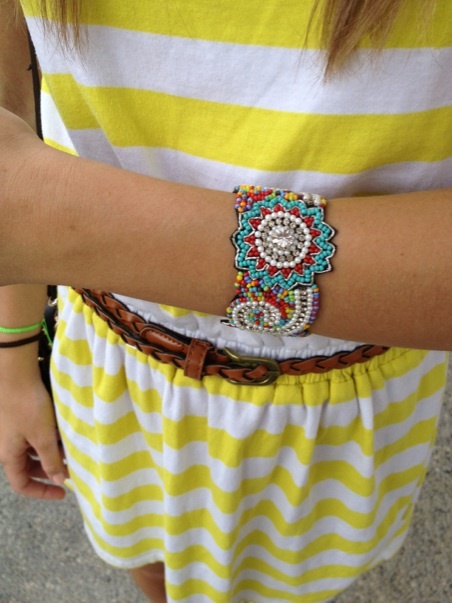 i love your bracelets!! your blog is so lovely!! i would be very happy if we could follow each other!! i am following u and maybe if u have some time u can visit me! wish u a nice weekend!